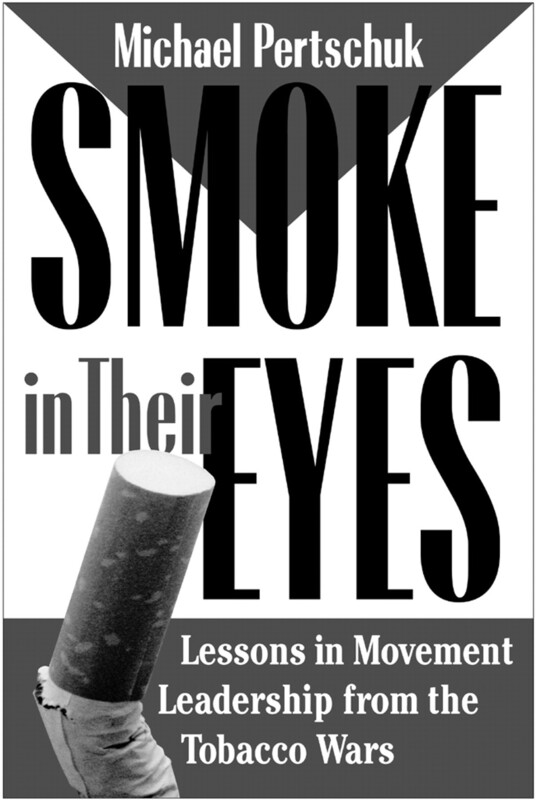 Smoke in their eyes: lessons in movement leadership from the tobacco wars. Michael Pertschuk. Nashville, Tennessee: Vanderbilt University Press, 2001. There have been memorable dates, both glorious and infamous, that have defined aims and charted progress and setbacks for the US tobacco control movement. The most notable of these events have had global repercussions. On 15 December 1953, the heads of four major US tobacco firms met in New York City's Park Plaza Hotel, where they launched the Tobacco Industry Research Council and hammered out the seminal text of a nationwide newspaper ad, “A frank statement to cigarette smokers”. On 11 January 1964, US Surgeon General Luther Terry released theReport of the Advisory Committee on Smoking and Health, concluding “it is the judgment of the Committee that cigarette smoking contributes substantially to mortality from certain specific diseases and to the overall death rate”. At the Waxman Hearings on 14 April 1994, the “seven dwarfs”, chief executive officers (CEOs) of the top seven US tobacco companies, were photographed for posterity as they prepared to declare that “nicotine is not addictive”. At least one more date marks the US tobacco control calendar, but it evokes no signal image, conjures no immortal quote. And yet, on 3 April 1997, at the Sheraton Hotel in Crystal City, Virginia, an extraordinary meeting did take place. That Thursday afternoon, Geoffrey Bible and Steve Goldstone, CEOs of Philip Morris and RJ Reynolds, respectively, met in secret with trial lawyers and state attorneys general, hoping to hammer out a settlement of litigation pending against the tobacco industry. Along with the CEOs, the lawyers, the attorneys general, and their minions, there was one more participant at that meeting: Matthew Myers, vice president and general counsel of the National Center for Tobacco-Free Kids. In Smoke in their eyes: lessons in movement leadership from the tobacco wars, Michael Pertschuk describes the political path that led Myers to that Virginia hotel and chronicles what happened in the meeting's wake. Pertschuk, former head of the US Federal Trade Commission, founder and co-director of the Advocacy Institute, and longtime combatant in the tobacco wars, interviews many key players and makes innovative use of email records to “set the record straight” on the role of various advocates during the tumultuous debate over the 1997 “global” settlement and the 1998 McCain bill. However, as the author repeatedly makes clear, the book is as much an impassioned defence of Myers as it is an analysis of the colossal, scarring failures of tobacco control advocates during that time. At its core, Smoke in their eyes pits Myers against Stanton Glantz, University of California professor of medicine and lead author of The cigarette papers. For Pertschuk, the plausible, if arguable benefits of the McCain bill could have been realised if not for the schism cleaving former allies into hostile camps. According to Pertschuk, great public health gains could have been realised had Glantz and his zealous followers not framed the debate to suit their purposes. As a behind-the-scenes look at the personalities and polemics of both advocacy groups and political agencies, the book is a rousing success. Though there are few felicitous literary passages, Pertschuk has obtained detailed accounts from former Surgeon General C Everett Koop, former head of the Food and Drug Administration David Kessler, and other principal players, with the glaring exception of Glantz. The book's central failing, however, is Pertschuk's unwillingness or inability to focus on Myer's secret, unilateral decision to attend that first Virginia meeting. Myers was like Caesar crossing the Rubicon, with just a slight difference or two. Firstly, the general neglected to tell the troops he'd crowned himself emperor. Then, he realised he didn't know the way to the river's edge. Those failings are paramount. Myers' good intentions should not be doubted, but he paved the path to acrimonious, rancorous debate. The Center for Tobacco-Free Kids was not a well established entity in 1997 and many former allies felt betrayed by Myers' “lone ranger” tactics. Once turned off, they could not easily be convinced to follow Myers anywhere, as demonstrated by the caustic, pitched battles between the rival ENACT and Save Lives, Not Tobacco coalitions. The what-could-have-beens of the McCain bill are still being debated. The USA is again playing a negative role on the global tobacco stage, this time with respect to the Framework Convention on Tobacco Control. What is certain is that the tobacco industry knew what it wanted back in 1997 and still knows what it wants today. Philosopher Isaiah Berlin famously borrowed the dictum of the Greek poet Archilochus, who wrote: “The fox knows many things, but the hedgehog knows one big thing.” The tobacco industry is a huge, knowing hedgehog. Michael Pertschuk's insight and intellect help explain how the tobacco control movement has outfoxed itself lately, but his Manichean dichotomy of Myers-good, Glantz-bad does the movement a disservice. The hedgehog rolls along. The fox needs a new game plan.